At the end of January, members of the Forest Hill Society joined 25,000 other people to march through Lewisham in support of our local hospital. The South London Health Care Trust (SLHT) has been having serious financial difficulties, primarily as a result of costs of their PFI deal. As a result a Special Administrator was brought in to propose changes to improve their financial viability. Although the SLHT does not include Lewisham Hospital recommendations were made to close the A&E and maternity services at Lewisham, as a way to save money and keep the other hospitals more viable. Apart from the questionable legality of the Special Administration making recommendations of reorganisation beyond the scope of the SLHT, this will have serious consequences for the people of Lewisham. Lewisham is recognised as providing excellent quality of care and is performing well financially—unlike the hospitals in Greenwich, Bexley and Bromley, which form the SLHT. This high quality of care in Lewisham is being put at risk by the proposals. On 31st January Jeremy Hunt, the Secretary of State for Health, announced that the hospital will keep a reduced A&E department - a concept that exists nowhere else in the NHS. In addition the maternity unit will be midwife led only, rather than having the support of obstetricians. These changes will put huge pressure on Kings and Woolwich hospitals, which will see a significant increase in emergency admissions and births. 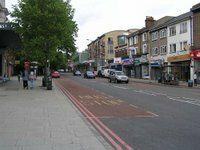 Lewisham is rated excellent and provides services to an area of London with high rates of deprivation. 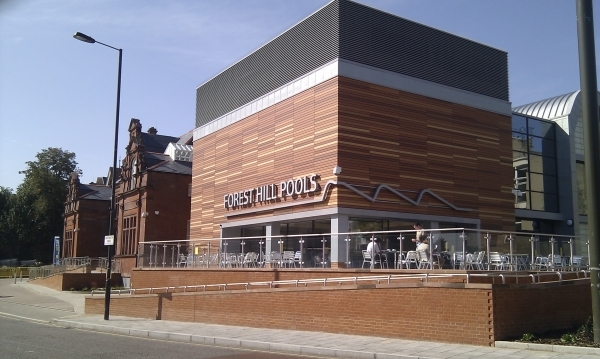 It is being sacrificed to bail out the neighbouring hospitals which generated huge PFI debts. Jeremy Hunt claimed in parliament that the changes to Lewisham will save 100 lives per year. These figures are disputed by the hospital and the local authority. We believe that these changes at Lewisham will only reduce the quality of health care provided to people in Lewisham, increase journey times to good hospitals, and put more pressure on hospitals in Southwark and Greenwich. The costs of the reorganisation are massive and will take at least three years to be implemented. From a financial perspective it is questionable whether the proposed changes at Lewisham will actually save any more in the medium to long term. 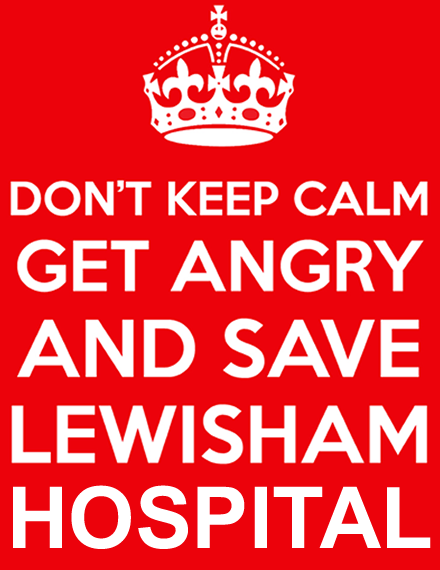 In the meantime, the fight will go on, and we would encourage you to use Lewisham whenever you need hospital facilities. All services at Lewisham continue to operate as before and it will continue to be an excellent hospital for now, but a serious threat remains over the future of services at this hospital.